We never sell or share your information. Period! We do not spam your email address. Ever! Our website is checked daily by McAfee for any security issues. Our website is hosted on a 256-bit encrypted secure Yahoo\Aabaco Server. We never have access to your credit card numbers, the credit card companies process the transaction and send us an approval number. All employees pass a background check before working here. To start with we host our website on Yahoo Shopping (Now rebranded AAbaco)! one of the most secure and well known e-commerce platforms in the world. 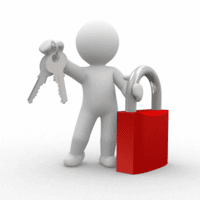 With SSL certificates and 256k encryption your information is very secure. The next stage of our security plan is aggressive scanning program which we contract with McAfee Secure. McAfee scans our entire website for over 40,000 exploits, viruses, and security issues every single day. To assure our customers that this is being done we receive a Trustmark issued and maintained by McAfee to place on our website. We place a snippet of code in our web pages and McAfee puts a Trustmark on our website with the date of the last security scan. You can click on the McAfee trustmark/seal on any of our pages and it will open a page showing the time & date of the last scan and confirms that MedicalProductsDirect.com owns that security certificate. Click on the McAfee seal above to see for yourself. If oue website was to become un-secure for any reason, the McAfee seal disappears, although that has never happened to date. The last way that we make sure your personal information is through strict company guidelines and rules. Employees are trained on these guidelines and rules before they are ever allowed anywhere near and sensitive information. Listed below are a few of the more important highlights. You financial information is never transmitted or kept on our computer systems. It is transmitted directly to the very secure credit card companies servers when you get an "approval" when placing your order. Employees are trained to never send any sensitive information over an insecure source such as a fax machine or email. Your private information does reside on the ultra secure Yahoo Shopping servers for a short time while the order is being processed then it is purged from the system. After that we can't even access the information over a secure connection. Our employee turnover rate is very low, our least senior employee has been with the company for over 5 years. The majority have been with the company 10+ years. When we do hire new employees they undergo a rigorous training before they are allowed to handle any sensitive information. A thorough background check is done before they are hired. Your personal information never leaves our premises. Employees are not allowed to take work home with them and all printed personal information is stored in our secure building until it is destroyed by secure shredding methods. Your name and address can't show up in the garbage cans. We have never been "hacked" or compromised in over 15 years in business.